Game 72: Clayton Kershaw wins surprise matchup against Nats’ Yusmeiro Petit. 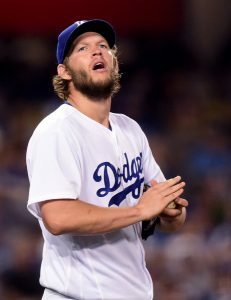 Clayton Kershaw earned his paycheck Monday in a 4-1 Dodgers win over the Washington Nationals. Zach Lee is looking forward to his new opportunity in the Mariners organization. 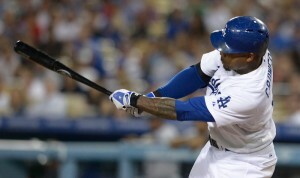 The Dodgers went 5-1 in their six games prior to today, only to lose a half-game in the National League West standings. The Giants’ eight-game winning streak ended Monday with a 1-0 loss to the Pittsburgh Pirates, so the Dodgers within 5 ½ games of first place. They’re six games over .500 for the first time all season. Game 71: Kenta Maeda stands tall, Dodgers come back to beat Milwaukee Brewers. 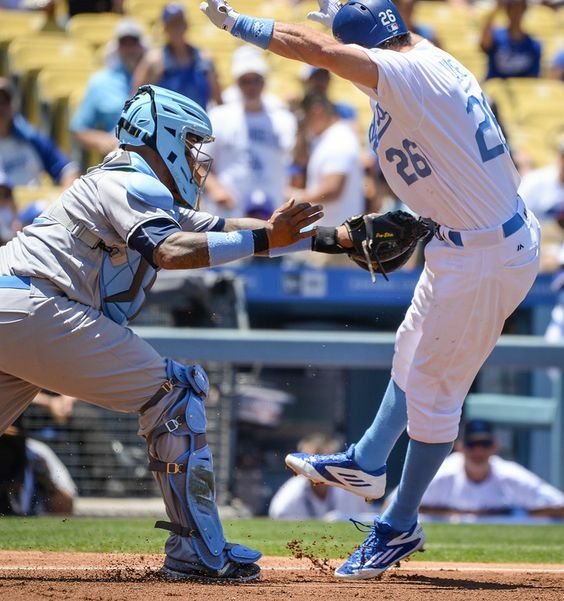 Kiké Hernandez‘s eighth-inning home run, and Yasmani Grandal‘s bases-loaded walk in the ninth inning, lifted the Dodgers to a 2-1 win over the Milwaukee Brewers. Kenta Maeda was excellent. The box score is here. The photo gallery is here. Mike Bolsinger was optioned to Triple-A Oklahoma City and Carlos Frias was recalled for the first time this season. Also in that story: Zach Lee was traded to Seattle. Game 18: Kenta Maeda ascends to a class by himself in Dodgers’ victory. 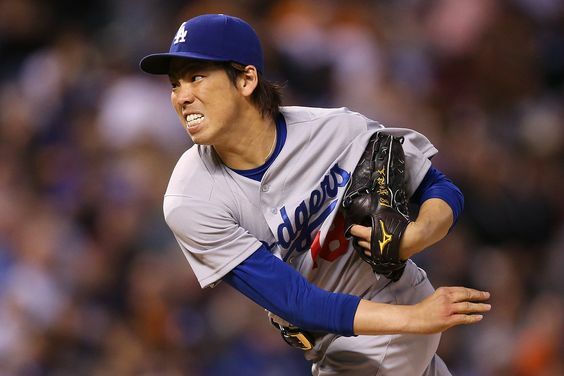 DENVER — Kenta Maeda has exceeded all expectations for his first season. Saturday, he ascended to a class by himself. The box score is here. Zach Lee is back with the Dodgers for a change — as a reliever no less — and he reflected on his runner-up finish to Ross Stripling for the fifth starter’s job.